I don't know about you, but the boys on my block constantly called me "bossy." Maybe cause it was there weren't many other girls, or because I always insisted on being first, perhaps it was cause I was always down to climb a tree, or maybe it was because in my backyard clubhouse, it was my way or the highway. Whatever it was, what they meant to say was, "Girl, you have some fierce leadership skills!" 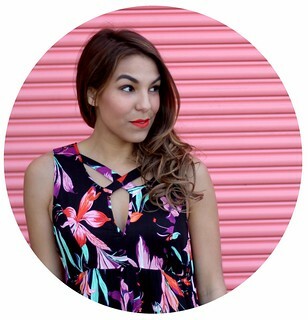 Of course, when the time for the Boston Business Women's Annual Conference rolled around, I had the perfect outfit in mind that was equal parts chic and empowering. 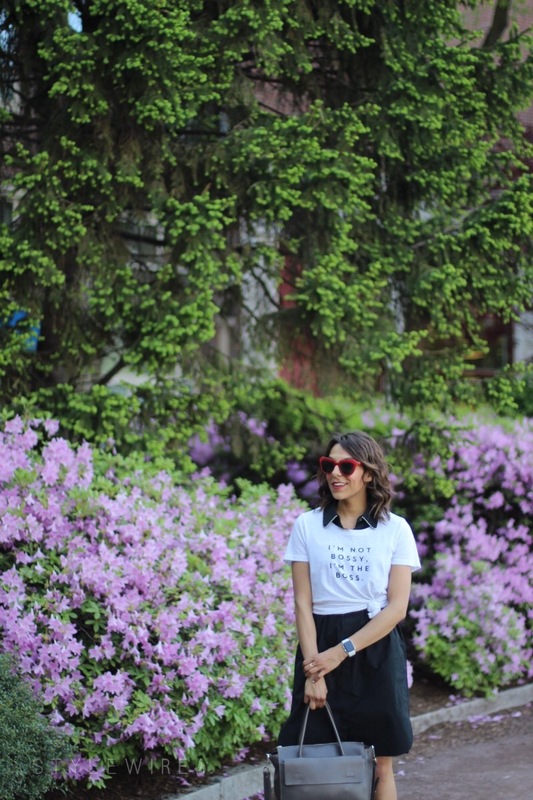 This tee by Milly by Michelle reads "I'm not bossy, I'm the boss," and is a perfect reflection not only of where I am in life (heck yes to being my own boss! ), but is also the kind of message I want to send to young girls on the street and of course, with you, all of my followers. I received so many compliments the day of the conference, and even out and about on the street from strangers! 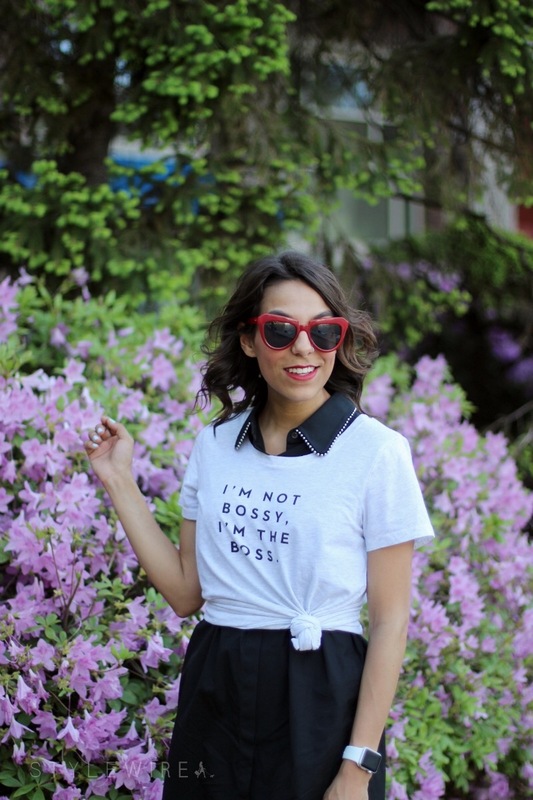 So this OOTD post is for you, for every girl who's ever been called "bossy." May you embrace it, may you own it, and may you one day be the leader our communities so desperately need!